What are the conditions to claim input credit on inputs, input services and capital goods? Note: If the recipient fails to pay the supplier of goods within the above-mentioned period, an amount equal to the input credit availed by the recipient on such invoices will be added to his output tax liability along with interest at 18% from the date the credit was availed till the date it is added to the output tax liability. The recipient of supply has to declare these details in his GSTR 2 for the relevant period. What is the manner in which the input credit can be utilised? What are the restrictions in utilisation of input credit? 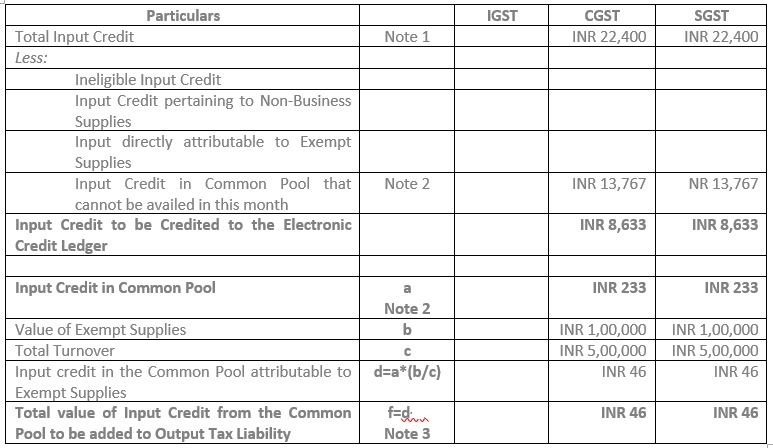 Please note that IGST input credit should first be used to off set IGST output tax, then towards CGST and any balance remaining towards SGST. 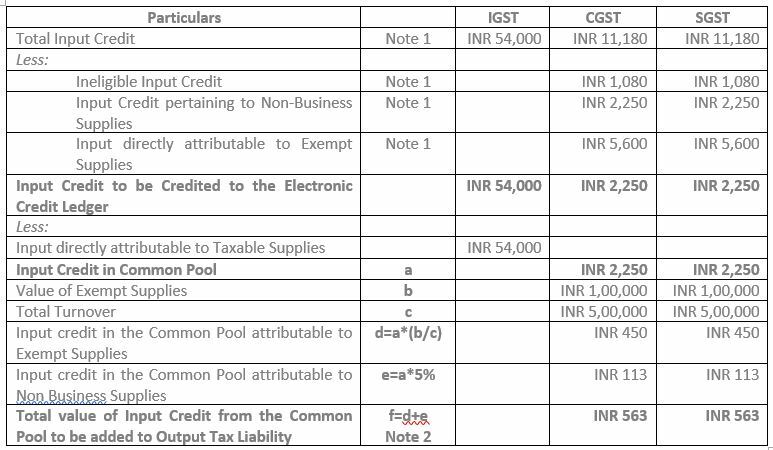 Similarly, CGST/ SGST input credit should first be used to off set CGST/SGST output tax, and any balance remaining towards IGST. Only input credit on goods or services or both received in respect of taxable outward supplies and export supplies can be utilised. Input credit on goods or services or both received in respect of non-taxable, nil rated or exempt supplies cannot be utilised. What are the circumstances in which the input credit will be rendered ineligible? Input credit on the following transactions shall be rendered ineligible subject to certain exceptions that are listed alongside. How to calculate the amount of input tax credit that can be availed in case of inputs and input services where an Organisation has taxable supplies including export supplies and exempt supplies? Where an Organisation has taxable supplies including export supplies and exempt supplies, the input credit on inputs and input services availed by the Organisation must appropriately be apportioned against each of the following supplies in the below manner on a monthly basis at an invoice level. Step 2: Out of the balance input credit above, input credit directly attributable to each of the supplies (i.e. exempt supplies and taxable supplies) shall be allocated to them. The amount attributable to taxable supplies shall be added to the electronic credit ledger and utilised against payment of output tax liability or claimed as a refund. Step 3: The common pool of input credit remaining after Step 2 shall be allocated to the exempt supplies in the ratio of the turnover of exempt supplies in that State/ Union Territory to aggregate turnover. Note: Turnover and aggregate turnover should be taken for the financial year immediately preceding the financial year in which the distribution is being made. 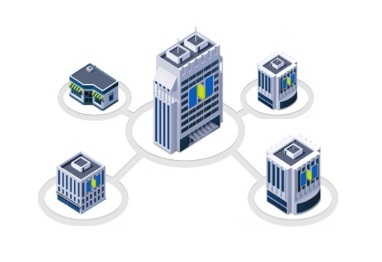 Step 4: If in the common pool, there is any input credit from inputs or input services, that are used for any non-business purposes, then 5% of the common pool in Step 3 should be reduced. Step 5: The amount calculated in Step 3 and Step 4 should be added to the output tax liability. Step 6: The remaining input credit is attributable to taxable supplies including export supplies. The amount attributable to taxable supplies shall be added to the electronic credit ledger and utilised against payment of output tax liability or claimed as a refund. Click here to understand the eligibility and process for refunds. 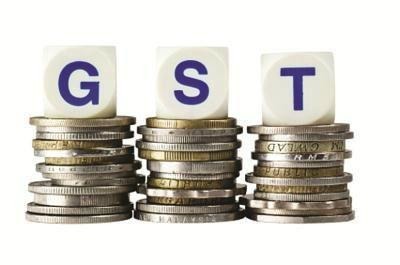 Note: Step 1, Step 2 and Step 3 should be done at the invoice level and declared by the registered person in GSTR 2 on a monthly basis separately for CGST, SGST/UTGST and IGST. What is the impact of the above calculation at the time of filing Annual Returns? The above calculation should be done for the financial year as a whole while filing the Annual Return. Where the amounts calculated in Step 3 and Step 4 for the Annual Return is higher than the amount declared by the registered person in the monthly returns, then such excess amount shall be added to the output tax liability in any month following the financial year for which the Annual Return is being filed but before September. An interest at the rate of 18% shall be payable on such excess amount for a period starting 1st April of the succeeding financial year till the date of payment. Where the amounts calculated in Step 3 and Step 4 for the Annual Return is lesser than the amount declared by the registered person in the monthly returns, then such differential amount can be claimed as input credit by September following the end of the financial year for which the Annual Return is being filed. Click here to understand the return filing process for a registered person. What are the exceptions available to the above calculation methods? 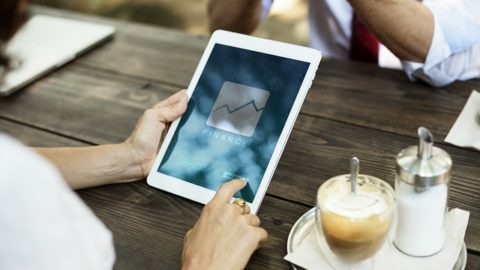 A Banking Company or a Financial Institution including a Non-Banking Financial Corporation shall either calculate input credit on inputs, input services and capital goods that can be availed in the above manner or they may choose to avail 50% of the input credit and the remaining will lapse. How to calculate the amount of input tax credit that can be availed on capital goods? Where an Organisation has taxable supplies including export supplies and exempt supplies, the input credit on capital goods availed by the Organisation must appropriately be apportioned against each of the following supplies in the below manner on a monthly basis at an invoice level. Step 3: The common pool of input credit remaining after Step 2 shall be allocated to the exempt supplies in the ratio of the turnover of exempt supplies in that State/ Union Territory to aggregate turnover over 60 months. Step 4: The amount calculated in Step 3 should be added to the output tax liability. Step 6: The remaining input credit is attributable to taxable supplies including export supplies. The amount attributable to taxable supplies shall be added to the electronic credit ledger over 60 months and utilised against payment of output tax liability or claimed as a refund. Can input credit in respect of inputs and capital goods sent for Job Work be availed? A Principal can take input credit on inputs and capital goods sent to a Job Worker irrespective of whether such inputs and capital goods were sent directly to the Job Worker or first received at the Principal’s location and then sent to the Job Worker. 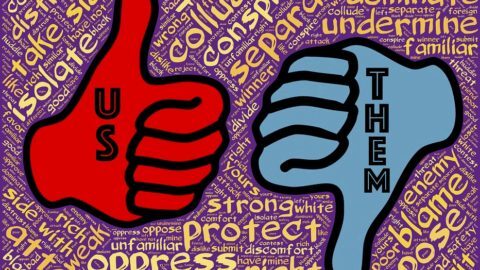 What are the conditions for availing the input credit in respect of inputs and capital goods sent for Job Work? What are the conditions to be complied with for an Input Service Distributor to distribute credit? 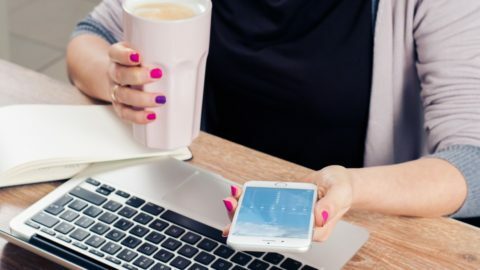 Where any branch of an Organisation in one State wants to transfer input credit pertaining to a branch in another State is required to obtain registration as an Input Service Distributor. What is the manner of distribution of credit to be followed by an Input Service Distributor? How to calculate the amount of input credit that can be distributed by an Input Service Distributor? 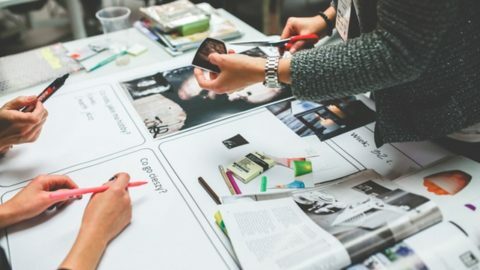 Any additional input tax credit identified at a later date, that may need to be distributed shall be so distributed in the same manner and determination as above based on a debit note. The distribution shall be made in the month in which the debit note is included in the GSTR 6. 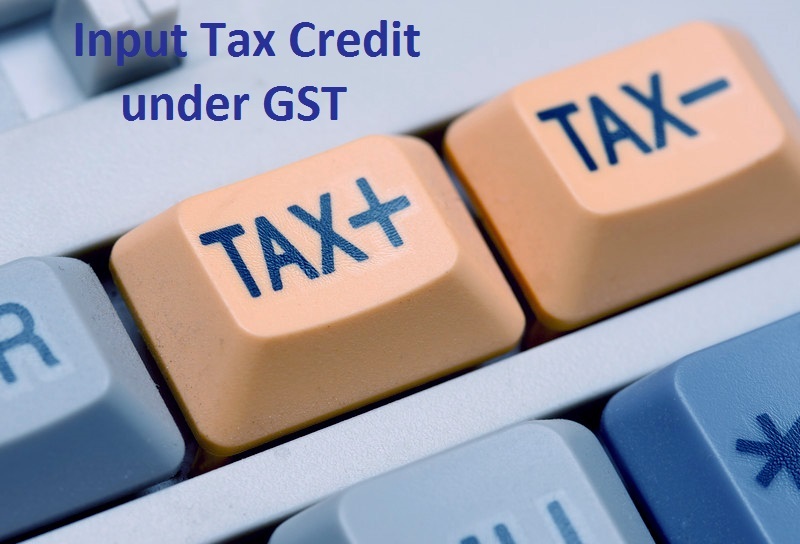 Any reduction in the input tax credit identified at a later date, shall be reduced in the same proportion in which it was earlier distributed based on a credit note. The reduction shall be made in the same month in which the credit note is included in the GSTR 6. The amount so reduced, shall be added to the output tax liability. Click here to understand the return filing process for an Input service distributor. What are the other circumstances under which input credit can be claimed? In the following cases, input credit in respect of inputs, semi-finished goods or finished goods held in stock can be claimed. 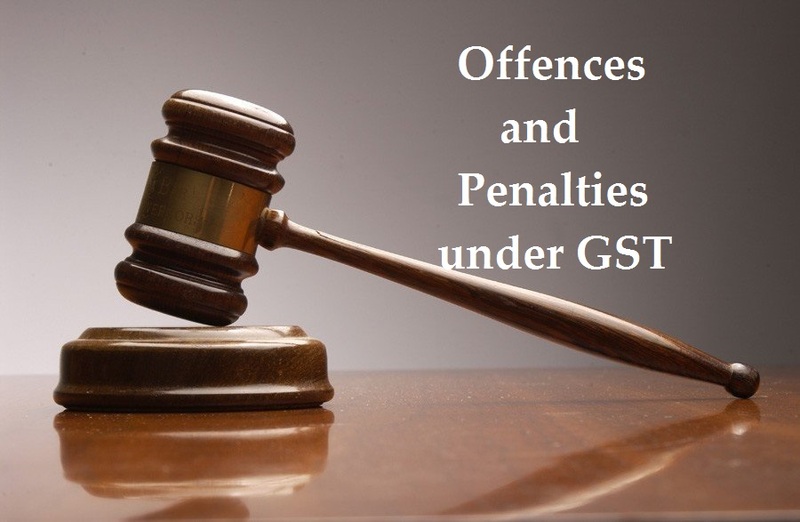 The registered person will have to file form GST ITC 01 within thirty days from the date of becoming liable for registration. The details declared must be duly certified by a Chartered Accountant or Cost Accountant if the total value of input credit exceeds INR 2 lakh. The invoices pertaining to the inward supplies should be dated within 1 year prior to the above-mentioned date. *In these two cases the registered person can claim input credit on capital goods as well after reducing 5% of the input tax per quarter or part thereof from the date of invoice to the above mentioned dates. Where there is a change in the constitution of a registered person on account of sale, amalgamation, merger, demerger, amalgamation, lease or transfer of the business, the unutilised input credit can be carried forward to the new entity. There should be a specific provision to transfer all the liabilities. 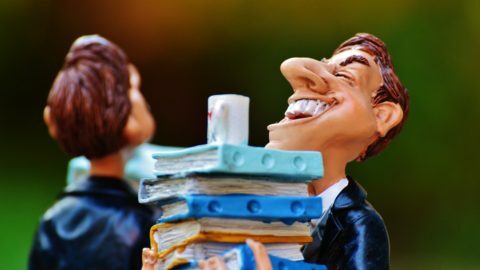 The inputs and capital goods transferred should be recorded in the transferee’s books. The transferor should file form GST ITC 02 and the details there in should be accepted by the transferee. Data for the month of April 2018. ABC is a trader in cotton apparel in both the local and export markets with a turnover of INR 5,00,000 of which 10% is attributable to export sales and 10% is attributable to inter-state sales. ABC also earns rental income from a building let out for residential purposes of INR 1,00,000. The apparel is bought at 60% of the sale value from another State. During the period ABC incurred an expenditure of INR 20,000 on painting the building let out for residential purposes and paid GST of 28% on this expenditure. ABC provides lunch to its employees costing INR 12,000 taxed at 18%. ABC incurs audit and accounting fee of INR 25,000 taxed at 18%. ABC also provides food and uniforms to a nearby school. The cost incurred on the food is INR 10,000 taxed at 18% and uniforms is INR 15,000 taxed at 18%. ABC purchases a computer worth INR 50,000 at 28% used for maintaining the accounts relating sale of apparel, rental of building for residential purposes and the supply of food and uniforms to the school. ABC also purchases shelves for storage of the apparel in stock, the value of which is INR 30,000 taxed at 28%. The tax rate for the apparel is 18%. What is the amount of input credit that can be availed and output tax payable by ABC. Note 2: With respect to the common pool of input credit for capital asset, the input credit can be availed over 60 months. Hence input credit that can be availed for the month of April 2018 is INR 14,000/60 months being INR 233 each for CGST and SGST. The balance INR 13,767 can be claimed over the next 59 months. I am a Chartered Accountant with 5 years of experience in both Consulting (KPMG) and Industry (Tapzo). I am currently assisting various Organizations in understanding the impact of GST on their businesses to help them with a smooth transition. 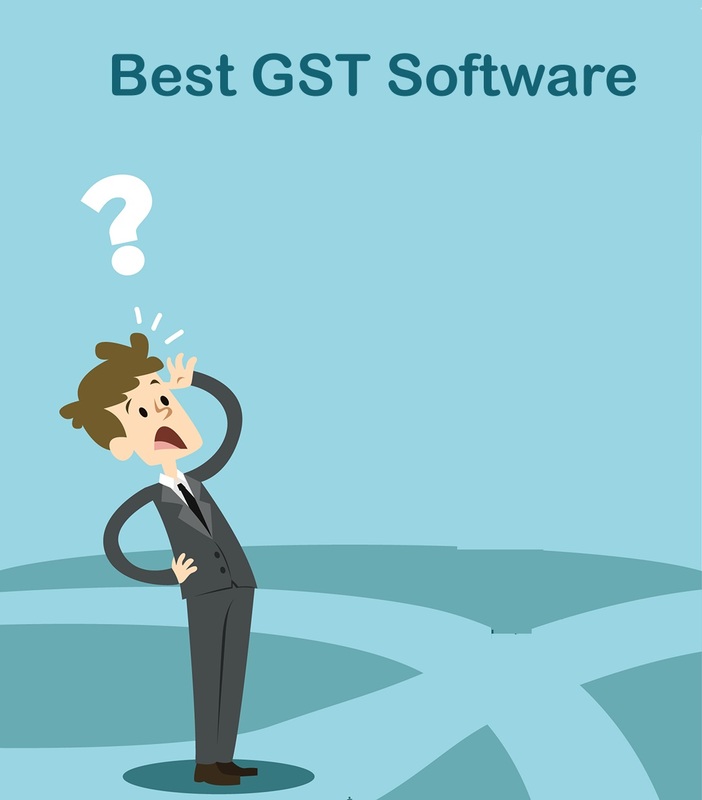 Why ERP Software with GST is critical for Business growth? 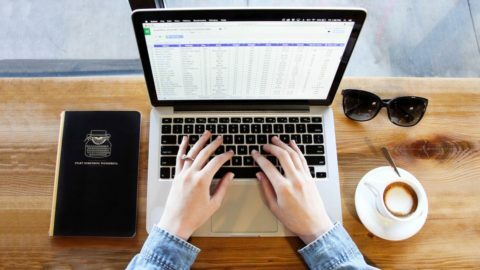 Which is the best Online software like Quickbook in India?